5 different scorers in the U14 girls first game of the season. 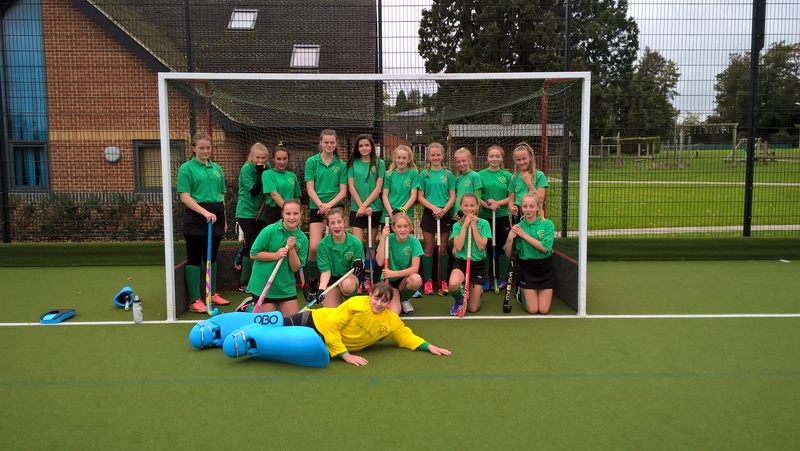 A top performance from the U14 Girls. A very attacking display which saw goals scored throughout the game. The opening goal came from a strong run down the right from Jenni Baxendale who then cut in to the D and shot across the goal into the far corner of the goal. The second goal in the first half was scored by Bethany Chambers who had stolen in at the back post and pounced when the keeper couldn't clear her goal. The second half was much the same, constant attacks from Bicester which lead to Jennie scoring her second and a goal a piece from the hard working centres Ella Gardner and Lucy Hayes. The scoring was finished off by second half sub Rosie Foote getting a hat trick.